Waterzooi is one of my favorite restaurants of all time, and it's not just because I worked there during law school. 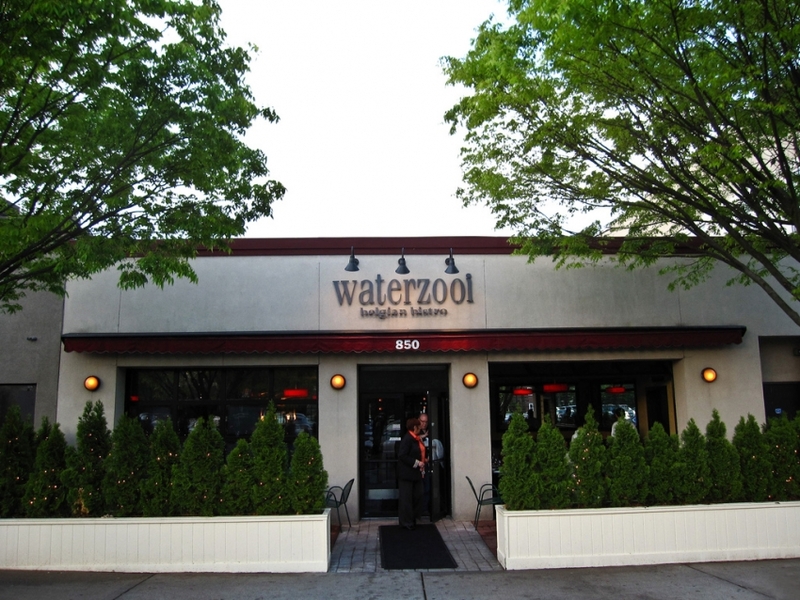 :) Named for a Belgian fish stew that is available on the menu, Waterzooi is the only Belgian bistro on Long Island. Located in the heart of Garden City on Franklin Avenue, Waterzooi is best known for its giant pots of mussels served in a variety of delicious broths, its extensive selection of Belgian beer and the intoxicatingly sweet made-to-order Belgian waffles they serve for dessert and at brunch. Waterzooi opened in 1999 and has been extremely popular ever since. It is almost always busy, especially on the weekends. 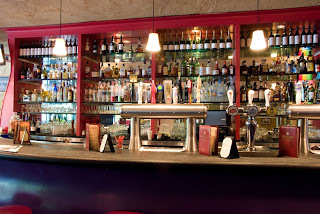 It also has a great bar and is a happening happy hour spot for the lawyer and banker types who work in the area. 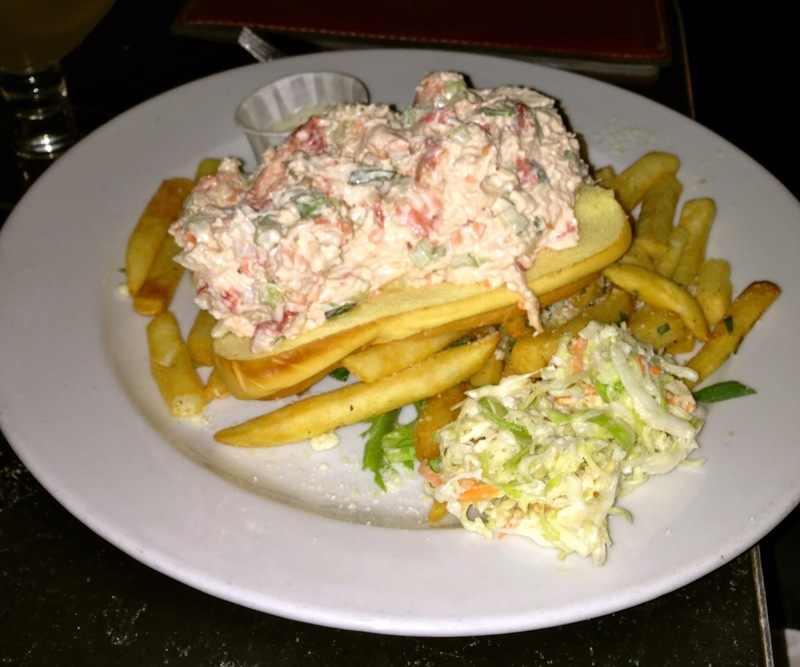 In addition to the 13 different mussel pots they offer, there are also raw bar items such as oysters and clams, appetizers, salads and bistro-style entrees such as (USDA prime) steak frites and chicken cordon bleu. The food is consistently outstanding and so is the service. The owners really take pride in their product and staff and it shows. There are more than 100 beers offered on tap and by the bottle, and most are from Belgium. 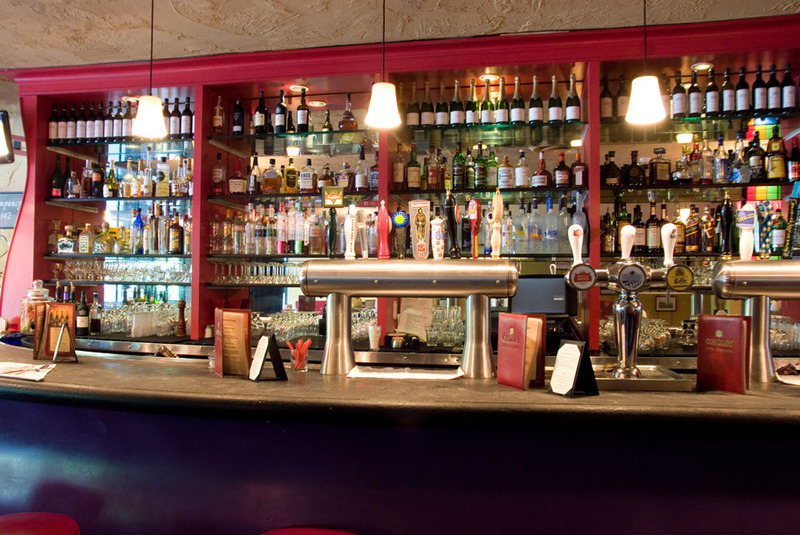 It is so fun to try something different and the bartenders and waiters are very knowledgeable about the beer and will help you find a beer you might like. We went there for dinner the other night with some friends and I ordered one of my old standbys - the Bouillabaisse mussel pot. 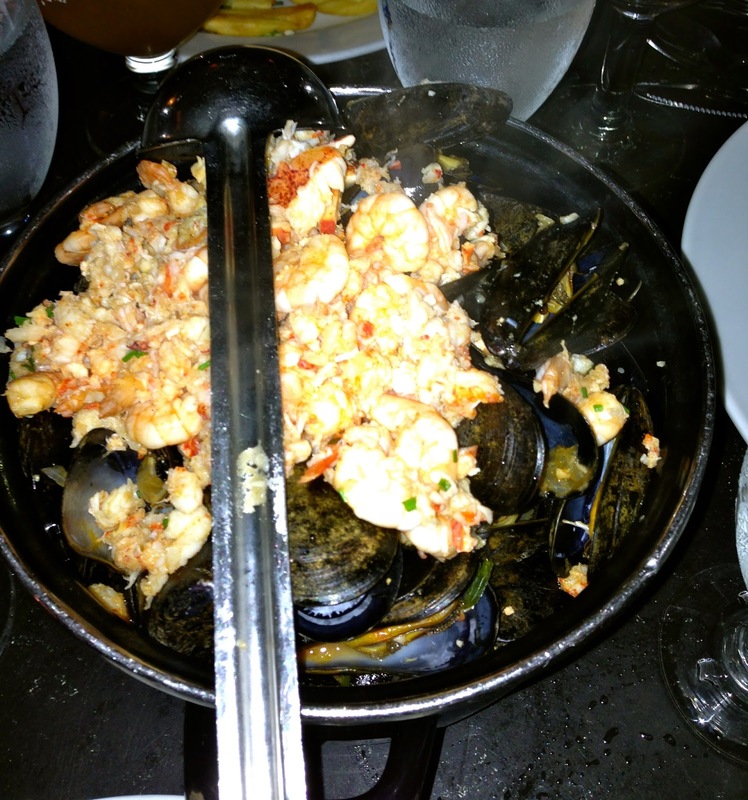 The broth in this pot is a saffron tomato crab broth, and the mussels are topped with baby shrimp and pieces of lobster. Each mussel pot is served with classic Belgian frites with a side of mayo for dipping, in the European style. As I said before, the mussel pots are huge! I think each pot has two and a half pounds of mussels, and it really is enough to feed 2-3 people. We always bring home a ton, and have it for at least another meal or two at home. The mussels are great over pasta the next day, which is what we did with my leftovers this weekend. The saffron tomato crab broth is so delicious and light, and the lobster, although tiny pieces, was tender. My only complaint with this pot is that the shrimp are so tiny they tend to overcook easily, so they were a little overdone. Some other mussel pots I would highly recommend are the Thai mussels (spicy lemongrass and coconut broth with grilled pineapple), the classic Oreganato mussels (lemon, white wine & toasted breadcrumbs), and the Homard mussels (creamy lobster sauce and scallions). Waterzooi always serves baskets of baguette, perfect for dipping into that irresistible broth. The fries are also a good broth-dipping item! 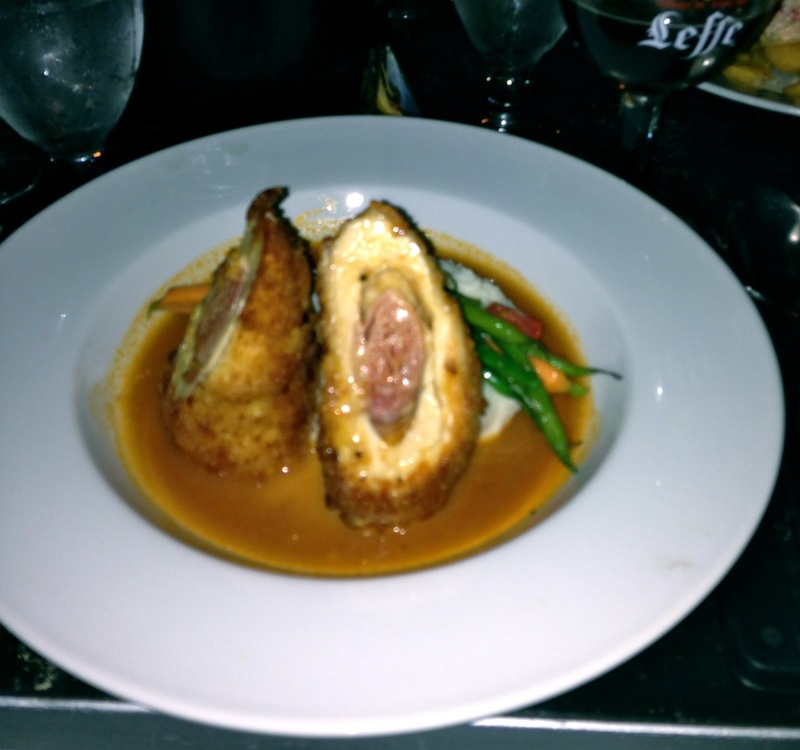 My husband ordered one of his favorites at Waterzooi - the Kip, a contemporary take on chicken cordon bleu. Chicken breast is stuffed with Belgian ham and gruyere cheese, breaded and fried and served over country mashed potatoes, with hericot vert (French green beans), and a rosemary jus. What's not to love about this dish? The chicken is crispy on the outside, moist on the inside, and the smokiness of the ham and sharpness of the cheese is the perfect filling. A very comforting, homey dish. Lobster Roll special - I didn't taste this one but it looks great! We did not order dessert this time around but I highly recommend the Belgian waffle. They make it to order and top it with whipped cream, and your choice of gelato, fresh berries, nuts, etc. It is so ridiculously good, and it is almost impossible not to order one because that waffle smell emanates throughout the entire restaurant each time they are preparing one for a table! 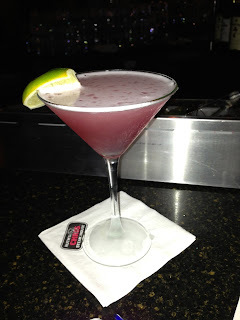 I highly recommend Waterzooi for happy hour, brunch or dinner. They have a great three-course prix fixe lunch or dinner Sunday - Wednesday, "Mussel Mania," for only $21.95. I dare you to finish an entire mussel pot all by yourself!